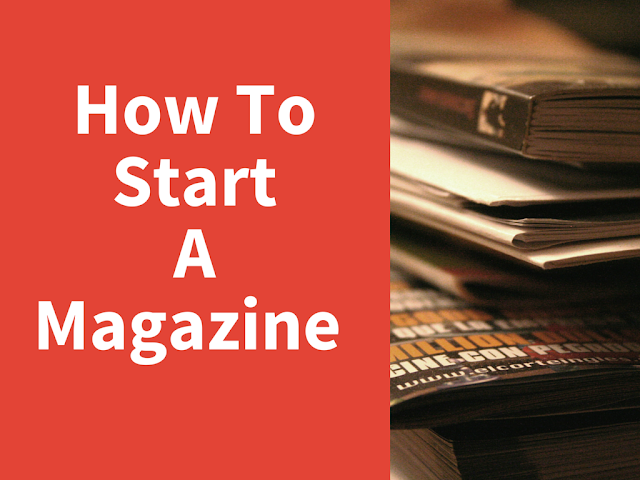 Want to start your own online magazine? Its very easy now. There are plenty of tools available for you to create your own magazine online. The key is to use right publishing tools. Most of the online publishing tools are dominated by established authors and big companies therefore you need to pick something that fits your need. If you are starting your magazine for first time you can pick from online content publishing platforms that allow self publishing. These platform will allow you to easily publish any PDF file, ebook or any other type of document in a interactive digital magazine format. Google Drive - Free and You can use this on any browser. You can use the presentation type of document here to create magazines. Conveniently export it to your desired format using “download as” option. Open Office - Free and Available on all operating system. On Ubuntu, for simple text editing you may prefer to use one of these top text editors. The key to a quality magazines is using high resolution images with a useful content. If you do not have access to these tools, you can always hire a freelancer who can do this step for you at a very low cost. You can ask the worker to provide you the document in a format you desire. You can easily upload this document to any online publishing platform and it will be converted to an online magazine. The conversion is automatically done. Almost all publishing tools will create a permanent link to your magazine. Some tools will generate it instantly and other may take few minutes. Once you have the magazine link you can start promoting it using emails, social media and other channels. While looking for various publishing tools options we came across a nice tool called Yumpu that may be interesting to magazine publishers. Yumpu has an interesting concept of Flipbooks. Flipbooks are a lot like magazines however they have much smarter features as compared to a simple PDF file being displayed online. Below are some key things about Flipbooks and Yumpu publishing platform. Gone are the days where you are fervently typing up, printing, and then handing out hard copies of your latest magazine publication. In today's ever advancing pool of technology, there is a new invention seemingly every hour. One of the most amazing inventions of late is the flipbook. Flipbooks allow you to put magazine publications, PDF files, and other creations into gorgeous online books, hence the name flipbook. With flipbooks, the generation of beautiful looking media that you can create for the masses is unlimited. Everything ranging from flipbooks working on a wide variety of platforms, to easy advertisement of your company or brand are some of the many benefits to this amazing tool. Flipbooks are the future of digital publishing. Just imagine having all of your content in one, amazingly put together digital book that readers, clients, and consumers alike can simply flip through online. You can include videos and audio in flipbooks, fully engaging the reader. You do not have to worry about losing the attention of your audience by walls and walls of text. Of course you can include text in flipbooks as well, however, you will be able to truly take advantage of the old saying, a picture is worth a thousand words. Flipbooks can be used across many different platforms too. This is a huge advantage, as not everyone has a laptop, or a smartphone, or a tablet, and then you have those that have everything when it comes to technology. No matter what someone's case, flipbooks are multifaceted when it comes to being able to share them. The versatility of flipbooks shows how they will be integrated well into the world of technology now and far into the future. You can find out even more about the technology flipbooks on the best online flipbook resource – nubuntu.org. Beside being extremely versatile on many different electronics as mentioned before, flipbooks make it easy for advertisement. Integrated right into the flipbook, there can be links to websites and forums and online stores. People reading flipbooks can directly click on a link and be taken there. Couple the link advertisements with great quality images and videos, and you have the concoction for a killer advertising campaign. The best thing about being able to advertise through a flipbook is that all things linked in a flipbook will be keeping the viewer right in the flipbook still. There is no need for external website scavenging. All advertisements and even sales can be made held and made right within the flipbook's digital pages. The mere ease of shopping will be incredible, as the shopper never has to be redirected to an external website, all transactions take place in the same area that the person started - within the flipbook itself! Even if you are not looking to sell anything and you do not have a blog or website that you want to advertise, you can still benefit from taking part in the new sensation of flipbooks. Reading content and viewing videos in a flipbook will be so convenient, that you will never want to go back to the old way of switching between tabs and web pages. All of your favorite content is in one place, all ready for the viewing! Many flipbooks allow the user to customize a few things to their liking too. Anything from the sound a flipbook makes when you are going from one area to the next, to easy options to enable for sharing on social media websites. If you have not already jumped on board and started using flipbooks, you might as well get your feet wet. You have absolutely nothing to lose, in fact, you will be taking part in a huge chunk of the future of technology and digital content. What could be more cool than that?